Almost a month ago, I wrote about Grammarly. It is a nice tool for those who usually make grammatical errors while writing. This tool is helpful while doing official works because wrong grammar makes the wrong impression. If you are a blogger, you know the importance of writing error-free English. Spelling and grammar errors also affect SEO. If you are one of those who frequently do spelling and grammar related mistakes, Grammarly is a savior life tool. I am using its premium service and found it very helping tool. As a blogger, you can fix grammar issues with its free grammar check. If you want to use it with its full power, you can go with premium service. In this post, I am writing Grammarly Review after using it as a primary spell check tool for more than a month. Grammarly is one of the best online grammar checker tools. It proofreads your content and gives you suggestions to improve the content. This tool works in real-time. So, you will start getting suggestions while writing the content. From silly spelling mistakes to typical grammar errors, you will be able to fix various things. You can watch the video below to have an overview. I hope, now you have an idea of this tool. So, let me start with Grammarly Review to explain why and how to use this tool. In this Grammarly Review, I will try to explain all its components and how to use this grammar checker tool. 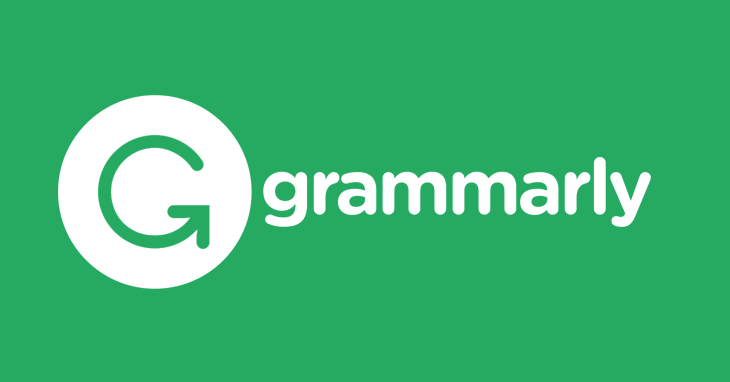 Grammarly Review – Is it worth? I am using Grammarly (Premium) for around one month. I initially started with the free account, and it impressed me a lot. So I opted for premium plans to use it in the better way. Premium plan offers many extra advantages over free account. So using premium gives better error correction. Grammarly comes in the form of various tools to make it easier to use in the different scenario. It comes with an online app where you can write something and then improve the text by fixing the errors. Browser extensions are also available to fix the errors you write online. The browser extension is useful for social media posts. For MS Word, It also offers an extension. If you are using Mac, you have a different dedicated writing tool. You can use Grammarly in any of the forms based on your comfort and ease of use. This extension is helpful for all those who usually do mistakes while writing in English. I personally found grammar and spelling mistakes in my blog posts many times. This is why I decided to go with this tool and found it working fine. Grammarly web app is useful for those who travel but cannot take their laptop with them all the time. In this case, one can just open Grammarly web app to write something and then fix possible errors. Anyone with Grammarly account can use this web app. If you are using web app of Grammarly, it also gives you possible errors at the right side with the possible fix.Errors marked red are the errors you must fix. To fix the error, you just need to click on the suggested word (fix) and it will automatically replace the wrong word with fixed correct word. See the snapshot below. Not just these errors, it also gives you Writing Score to have an idea about your writing. Clicking on the score will open a short report. This short report will give you an idea of your writing and your mistakes patter. You will easily get what thing is weak and then try to improve it. In your account, you can also set what kind of error checking you want Grammarly to do in your writing. You can check if you just want Grammar errors suggestions or Punctuation errors. I recommend you to enable all to get better suggestions and fix all kind of errors. Selecting document type will help Grammarly know better about your document to suggest you words. If you are writing a technical paper, you should select an option in Technical category. it will help you in getting better words idea. Plagiarism checker option is also there. By default, it it off. If you turn it ON, it will also suggest you if it finds any kind of Plagiarism. This is the best thing for blogger and people writing a research paper. Plagiarism free content is the main requirement for any kind of research paper and new blog post. I also like the vocabulary enhancement feature of this tool. it scans your articles and finds that word you repeat again and gain. Then it will suggest you the words wth same meaning to use in place of repeated word. I recommend you to install Grammarly Browser Extension to write error free on social media. If you have enabled this Chrome extension, you will get Grammarly checking option in text area on web pages. Clicking on Grammarly icon in Chrome will also open quick information. If you directly write a blog post on WordPress, it will also be there. While writing on Google+, Facebook, Twitter or another kind of social media accounts, it will give you the Grammarly icon at the bottom right side. Hovering will show you some errors and Click on this will open the Grammarly window with error and possible corrections. The Grammarly browser extension is the best thing I found in this tool. I can check my social media posts and emails for grammar errors before publishing it. Yes, it also works with Gmail, Outlook and Yahoo. You can check your emails before sending it. See the snapshot below for demo use in Gmail. So, this extension is like a life savior for many. Business professions who usually send many emails daily should start using this to send error-free emails. Bloggers can use it for writing the error-free blog post. Other people can use it for writing error-free social media posts. Grammarly also comes as an add-in for Word and Outlook. Microsoft has already added a spell and grammar check in both Word and Outlook. But you can enable Grammarly to use. It is worth to note that Grammarly add-in for Word only works if you have a premium version of the tool. The free version does not offer this service. You only need to download this add-in and install on your computer like any software you do. Just double click on the installer and then select both Word and Outlook. Once installed, you need to log in using your Grammarly credentials to activate it. After installation, you will start seeing Grammarly option in the Menu bar. For Mac, it comes with a dedicated text editor which you need to download and install in your Macbook. This tool offers the same interface what you get in Grammarly web app. Just start typing and then fix your errors. You can either create a new file or open existing file to start checking. Grammarly offers free service with limited features. But to use it effectively, you need to buy the premium version. IN free version, you can only get 150 critical grammar and spelling checks. But in premium membership, you will also get the additional advanced grammar and spelling checkers, Vocabulary enhancement suggestions. In the free account, you will also be able to use the browser extension. Now you know why Premium account is helpful and more beneficial. I am sure this Grammarly Review was helpful. As a blogger, I am sure you know that Spelling and grammar errors also affect search engine ranking. Although, this is not one of the primary ranking factor but Google give a clean and error free post priority in ranking. Watch the video below to know more. So, why to give your poor grammar skills an option to affect your blog. This was the Grammarly Review and my personal opinions. As a blogger, writing is my primary business. As I write directly on WordPress post editor, I usually do lots of silly grammar and spelling mistakes. Many time, I myself found errors and fixed. But why to give people a chance to point out your mistakes. It is better to post articles without any error. So, I started using Grammarly to avoid any kind of errors in my articles. I found this tool very helpful as it comes in web app form. I can start using Grammarly app from anywhere. All I need to have an internet connection. This is why I also decided to write Grammarly Review to let my readers know the importance of this tool. As a Grammarly user, I personally recommend this tool.